If you are looking to install salt free water treatment equipment in your home or business, you should learn the facts about product options and product technology. Culligan Soft Water Exchange Softener Service: Regeneration takes place at Culligan. There is no salt or discharge on the customer’s premises. We also have a number of other filtration products designed to meet your needs. 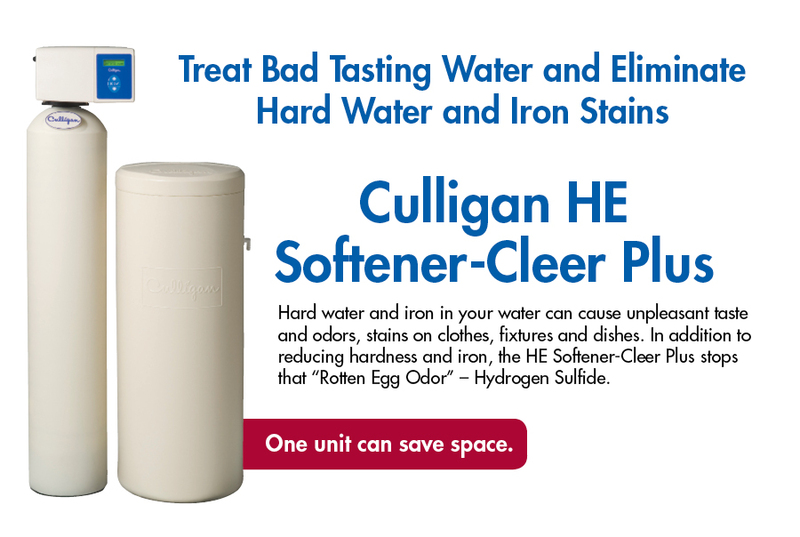 Culligan Automatic Filters: We have a full line of Filtration that uses no salt to regenerate. Cullar® Carbon Filter, Filter-Cleer, Iron-Cleer® & Sulfur-Cleer®, and Cullnue Neutralizing Filter. Whole House Reverse Osmosis: These systems improve when other technologies do not remove specific problem causing minerals or contaminants* (*contaminants may not necessarily be in your water). We have had very professional servicemen, all of them are polite and make sure they don't leave a rust ring from the old tanks on the carpet. The Culligan tech, Mark, was knowledgeable about his job and gave his opinion on our water issue. I would definitely recommend this company.